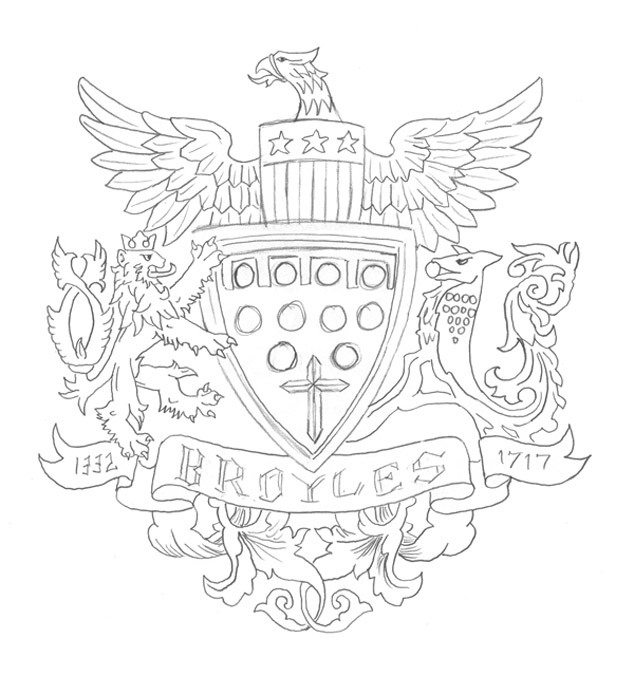 Visual Lure was recently contracted to design a custom family crest/coat of arms for the Broyles, a St. Louis Metro East family. 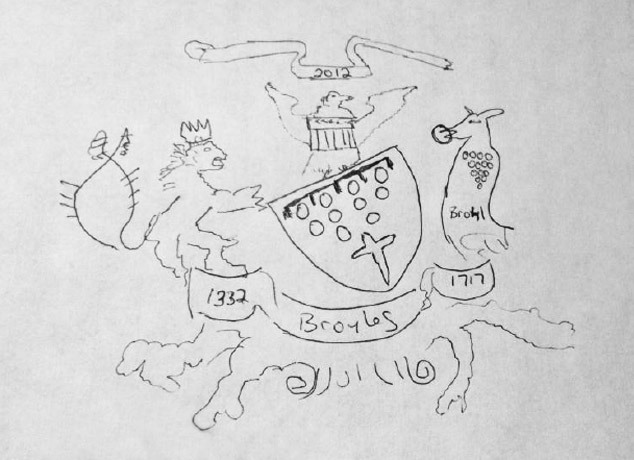 Using design elements taken from both sides of his family crests, plus adding new elements, we combined them to create a new custom coat of arms. Our client wanted the new crest to look centuries old, so we drew the entire crest by hand and kept that feel when we converted it into digital artwork.